The Hobbit: The Desolation of Smaug plunges us back into the wondrous and mythical world of Middle Earth with Peter Jackson’s second instalment of The Hobbit trilogy. Once again, the plot follows the large and hairy foot-steps of the eponymous hobbit, Bilbo Baggins, played charmingly by Martin Freeman, as he ventures through Middle Earth. Having faced hungry cave trolls and battled grotesque goblins, Bilbo’s quaint little hobbit hole in the Shire now seems very, very far away. Bilbo, and the company of thirteen dwarves, led by Thorin Oakenshield (Richard Armitage), now embark upon the second half of their journey to the lost dwarvish kingdom of Erebor. It is a journey fraught with dangers. Our brave band of brothers must face the terrors of giant, dwarf-eating spiders; the wrath of the isolationist elf-king Thranduil (portrayed beautifully by Lee Pace); and, of course, the fire-breathing dragon from which the film is named, Smaug. This second instalment of The Hobbit trilogy is jam packed with action and adventure. Being swept away in the dance-like battles between elves and monstrous spiders and enthralled by the fantastic barrel-ride down the rapids of Mirkwood it is a film bound to leave you anticipating the final film of the trilogy. On top of this, we are introduced to a fantastic variety of new secondary characters, portrayed by some of the most talented actors currently working in the industry. Stephen Fry is a wonderfully grotesque and grandiose Master of Laketown, while Luke Evans’ portrayal of Bard the Bowman drips with the inner-turmoil and struggle of an ordinary man called to be a hero. But perhaps the most exciting and iconic new character to the franchise is Smaug himself. Benedict Cumberbatch’s voice and movement work brings to the screen a reptilian villain who exudes menace, cunning and pride; it is a performance that is a true testament to Cumberbatch’s skill, and the impressive talent of Peter Jackson’s Weta Digital company. This film is a cinematic feast, and an adventure that cannot be missed! 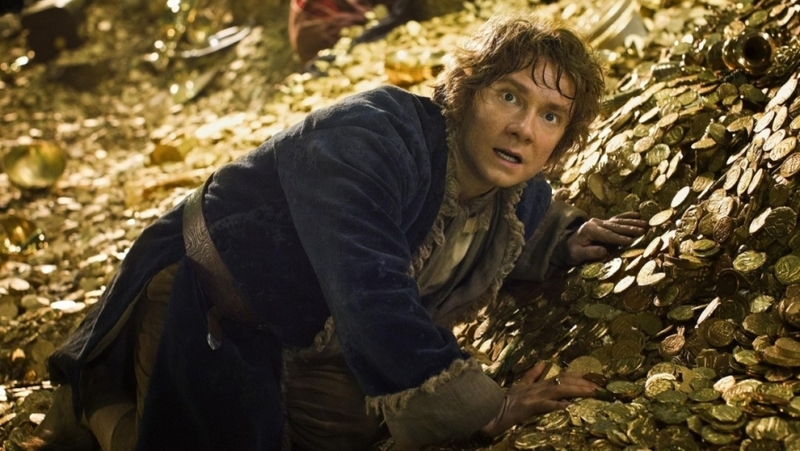 The Hobbit: The Desolation of Smaug is showing at Warwick Arts Centre until Thu 16 Jan 2014. University of Warwick student tickets are available for just £4 if you buy online or in person at our Box Office.